If you can read with some level of skill, you can do anything - even learn how to trade Forex - and you don’t have to be an expert to do it, but you do need to know that like any market, you have to watch out for pitfalls. But once you know what the pitfalls are, you can get involved with Forex trading with relative peace of mind. For example: you could trade the United States dollar with the Japanese yen and it would be written like this: USD/JPY. What this means is you buy one currency for a set amount and you believe you can sell it for more. This is called long position. The opposite is the remaining currency - the short. You would sell a currency if you thought it was going down in value. Getting started with Forex trading can be both exciting and a bit scary. There are a lot of questions to answer, and it's your money on the line, so you want to make sure you understand just what’s going on. Let's look at some common questions about Forex trading and the Forex market to help you get a better understanding. What is Forex? 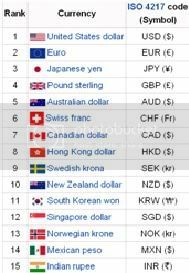 Forex is an abbreviation for foreign exchange market and is also called FX. This is the market where world currencies are exchanged. Most traders are large banks, investors and governments, but small businesses and even individuals can participate in Forex trading. How exactly is Forex traded? Forex is traded over-the-counter. This means that there are multiple prices for each different currency and these prices depend on who is doing the trading. Forex trading goes on around the clock the world over. So, am I really trading money? You're not given a stack of cash in trade for another stack of cash exactly, no. But you're predicting how the value of different currencies will shift over time, and then buying and selling currencies based on those predictions. Your Forex account balance will go up and down, depending on the success of your predictions and trades. What tools should I use for Forex trading? You need to be able to take advantage of software that will track your position in the market, software that will carry out your trade orders, called expert advisor systems, and Forex signaling software that will automatically signal you about market conditions. If you use a broker, he or she will use software for these purposes and may give you access to the same software. Is Forex trading risky? Yes. Before you get started, you should take time to learn about Forex and develop a strong trading plan to help minimize the risks. Do I need a broker to trade Forex? Not necessarily. Some people feel much more comfortable using a broker, but some feel that once they have properly educated themselves and gotten the right tools, they can trade without the help of a broker. What is a currency pair? A currency pair is the currency you are buying and the currency you are selling. For example, if you might purchase Euros with US dollars. That's a currency pair. What is a PIP? PIP stands for percentage in point. It is the smallest amount that a currency pair can change. As you delve further and further into the Forex trading world, you'll have more questions. Your best bet is to arm yourself with knowledge about how the system works and how you can minimize your risks and maximize your profits. Forex trading is exciting and holds great promise for making money, but you must know how to do it. Take time to thoroughly research Forex trading and learn all you can, before jumping in.